Castleford Tigers got back to winning ways by pulling off an incredible comeback on Friday night, defeating Wigan Warriors 38-28 at the Mend-A-Hose Jungle. The Tigers were as much as 20 points down in the first half, and looked dead and buried for large parts. However, Castleford refused to die and put in an unbelievable second half display – putting on 30 points of their own to down the cherry and whites. In the early going, tensions were high with the two sets of rivals going toe-to-toe for the first time this season. Castleford seemed to be the team feeding off the energy though, as they had the best of the territory in the opening exchanges. However, it was the visitors who found their way onto the board first. Joe Greenwood came up with the try, crashing over from short range. Then shortly after, Wigan’s lead was doubled as Oliver Gildart glided past the Tigers’ right edge on his way to the try line. The Warriors had their tails firmly up in the middle part of the first half, and they could have hardly hoped for more joy down their left flank. With the Tigers unable to stem the flow, Wigan raced into a 20-0 lead, following further tries from George Williams and Joe Burgess. It was a car crash of a start for the Tigers, but the first signs of a recovery came in the 27th minute as, in a rare venture into Wigan’s 20, Oliver Holmes did tremendously well to carry a host of defenders over the line and plant the ball down. Calum Turner failed to add the extras, but at least there was some life to the black and amber. The final ten minutes of the first period was fairly even, though it was Wigan who struck next. Gildart was the scorer after chancing his arm from dummy half - the grounding looked suspect when the decision was sent upstairs, but the try was given by the video referee. On the stroke of the half though, Castleford kept themselves just about in the contest. Smart stuff from Pete Mata’utia saw the Tigers’ number one go through a gap before laying on a beautifully delayed pass to an on-running Calum Turner. The youngster touched down, giving the Tigers the last laugh of the first half, albeit a stifled one. When the two sides re-emerged, it was fairly clear that Wigan scoring first would all but seal the two points for the Warriors. However, the Tigers – buoyed by a Daryl Powell team talk – came out of the sheds with no intention of letting that happen. 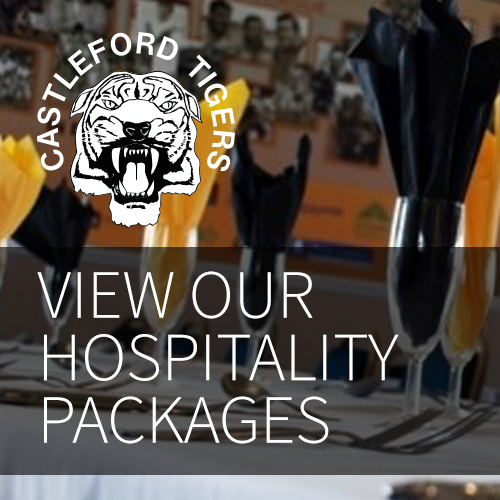 Castleford’s defence firmed up, laying the platform for some early Tigers offence. It worked too, as after five minutes of the second half, Mitch Clark barged over for his first try of the campaign. Mata’utia converted, and suddenly there was some newfound belief around the Mend-A-Hose Jungle. The noise levels lifted, and the boys obliged. Within moments, the Tigers were in again. This time, it was a storming run up the gut from Matt Cook that did the business, bringing Castleford within four points of the visitors. The turnaround was quite remarkable. From the dismal first half, this side in black and amber were unrecognisable. Incredibly, after being as much as 20 points down during the early stages of the contest, the Tigers took the lead on the 50-minute mark. The trend of strong running up the middle continued, as Adam Milner picked up the ball and simply willed his way over the whitewash. The impact of Clark and Cook was massive for the Tigers, and each deserved their warm ovation as they were giving a breather with 20 minutes left on the clock. The latter, in particular, put himself about like a man possessed. The Warriors weren’t out of the equation though, not at all. With a quarter of an hour on the clock, Burgess grabbed his second, pushing Wigan back out to a two-point lead. The deficit was almost increased a few moments later too, as Chris Kendall went upstairs to check a potential Wigan try. However, Dan Sarginson was adjudged to have knocked on in the build-up. As we entered the final ten minutes, much like last week, the tension was unbearable. After the first half performance, many could have argued the Tigers had no right to win this game but, still there was a chance. With five minutes left, the Wheldon Road End nearly lost its roof as Tuoyo Egodo smartly went himself from dummy half and got over the whitewash. Mata’utia came up with the clutch kick from the sideline, and suddenly the Tigers had a four-point lead at the death. Wigan threw everything at the Tigers at the end, but there was nothing for the visitors. 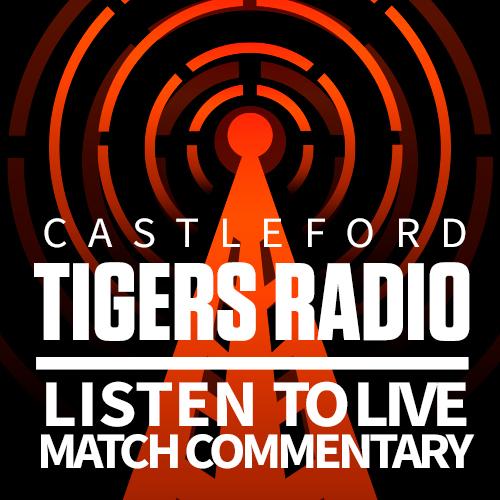 A last-ditch play only provided Castleford with the dagger, as Mata’utia swooped on the ball and scored to secure a memorable Tigers victory.